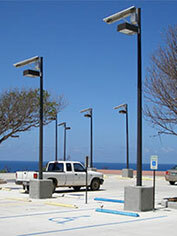 Street lights using solar technology can be quickly and easily deployed. 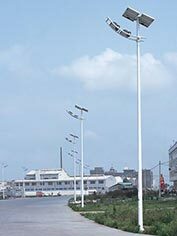 Well chosen, solar powered street lights will give years of reliable and maintenance-free operation. Conventional electric street lights are big consumers of energy, costing millions to cities and municipalities around the world. 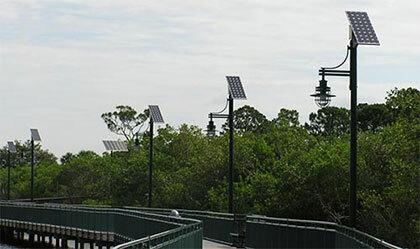 Solar lighting has the ability to be implemented in any remote location, especially where the cost of installing usual power supply is much too expensive or problematic, and has a high reduction of commercial and municipal cost reduction applications . 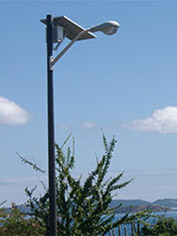 Solar street lights have dark/light detectors. This means that you never even have to worry about turning them on or off. They will turn on at dusk and off at dawn. 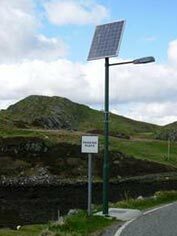 The best solar street lamps take into account the importance of light for an early morning commute, and therefore have enough energy stored to stay bright until dawn. Because of consumption cost, street lights are sometimes turned off during certain hours. A street that is lit up is a much safer street than one that is not. Accidents can be prevented, and burglars can be deterred. Another great thing about our solar lights is that they will even work in a power outage. They need only the power of the sun (which is stored in batteries) to continue shining brightly. Let our solar street lights be your beacon in the night.